Καλοτοποθετημένο στη παραλίες, περιήγηση σε αξιοθέατα, οικογενειακή διασκέδαση περιοχή της Ντα Νανγκ πόλης, το 1812 Boutique Hostel είναι το κατάλληλο μέρος για να χαλαρώσετε από τις πολυάσχολες μέρες σας. Σε μια τοποθεσία μόλις 4.1 km από την συναρπαστική ζωή της πόλης, αυτό το 1 αστέρων ξενοδοχείο αποτελεί ένα εξαιρετικό μέρος και παρέχει εύκολη πρόσβαση στα μεγαλύτερα αξιοθέατα της πόλης. Με την βολική του τοποθεσία, το ξενοδοχείο προσφέρει εύκολη πρόσβαση στους προορισμούς της πόλης που πρέπει οπωσδήποτε να δείτε. Με τις υψηλού επιπέδου υπηρεσίες και την μεγάλη ποικιλία ανέσεων, το 1812 Boutique Hostel δεσμεύεται ότι η διαμονή σας θα είναι όσο πιο άνετη γίνεται. Για να ονομάσουμε μόνο λίγες από τις εγκαταστάσεις του ξενοδοχείου, υπάρχουν τα δωρεάν WiFi σε όλα τα δωμάτια, 24ωρη φύλαξη, ημερήσιος καθαρισμός, υπηρεσία εισιτηρίου, κουζίνα. Απολαύστε ανέσεις υψηλών προδιαγραφών κατά τη διαμονή σας. Ορισμένα δωμάτια περιλαμβάνουν λευκά είδη, θυρίδα, πετσέτες, σύνδεση internet (ασύρματη), ασύρματη σύνδεση internet (δωρεάν) - ό,τι πρέπει για να αναζωογονηθείτε μετά από μια γεμάτη μέρα. Οι κήπος του ξενοδοχείου είναι τα ιδανικά μέρη για να χαλαρώσετε και να ηρεμήσετε μετά από μια πολυάσχολη μέρα. Όποιος κι αν είναι ο σκοπός της επίσκεψης σας στη Ντα Νανγκ, το 1812 Boutique Hostel είναι μια εξαιρετική επιλογή για μια χαρούμενη και συναρπαστική απόδραση. Has a good area in its courtyard for meeting others and it's very close to the beach as well. A little bit of a drive from the bar street on the other side of the river but there was still a lot to do in the area. Beach was a 5 minute walk which was very nice. The staff is very friendly and super helpful.. had no problem at all.. one of the cheapest hostel I have been in SEA without any minor issues. will recommended this hostel to anyone.. near to the beach also.. strategic location.. I have picked this hostel for a quick tour in Da Nang, and quite suprise with it's standard. Very comfortable bed, excellent breakfast and amazing garden. The staffs are very helpful. The location is few steps to the main beach, but a bit away from the city (around 15 mins walk to the city center). Overall I am quite happy with my booking. Can easily locate the hostel. It is less than 10 mins walk to the beach. Bunk Bed is clean and neat. Friendly Service, always smiling. Good place to stay and hang out too. Facilities are really good, but there weren't too many people around when I was there. On sunny days it can be amazing, as it's very close to the beach. There's free breakfast, but upon check-in it wasn't mentioned that it's only from 7 to 9 am. I booked the SIX bed dorm room. 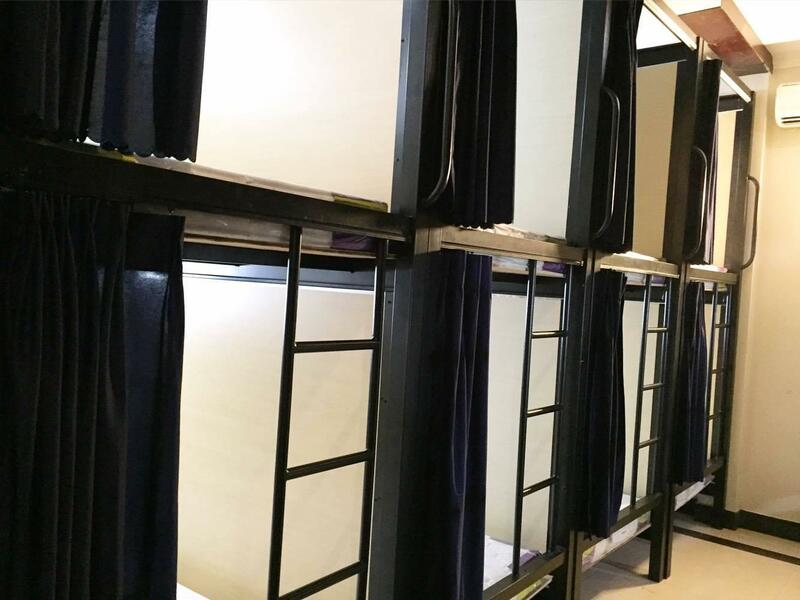 After check-in, Khe (employee) noticed the bed was not made in the 6-bed dorm. She takes me to the 15-bed dorm. Her excuse? She says the toilet is not working. Okay, then why didn't she tell me downstairs at check-in, and why were 3 guests in the room if it was broken? She didn't want to hassle with having the bed made, that's why! I checked the toilet, guess what? IT WORKED! She lied. Also, Hai (employee) played loud music for 5 minutes after 11pm. He was not very friendly either. He said something to me rudely about the top of the electric kettle. I was waiting for it to cool down. Also, there are no electric plugs for laptops in the dining room. My only option: sit at one of two tables at the front breathing in cigarette smoke from the 3 employees who smoke and guests. The stairs carpet is also very filthy. If they are going to "make us" take off our shoes, the carpet should be clean! TWO EMPLOYEES WERE AMAZING: CHEN (HOUSEKEEPER) AND KIN (MANAGER)! It’s extremely cheap and the dorms are fine and rather clean. However the bathrooms weren’t very clean and one bathroom you couldn’t use at night as the lights didn’t work. It’s ok if you are travelling on a very low budget. The bus have arrived there early. I think I'll go to hostel to send my luggage and will rove until time for check-in. But it was so surprised when the staff allowed me to take the room early than 5 hours. The air conditional was water leakage, then staff changed better room for me. The bathroom nearby the main door so people can wash out after playing outside beach. I'd love enthusiam of staff at there. You should stay in this hostel because of its location. You can go to many destinations in Da Nang. Staffs are very friendly although some of them are not professional. The landscape is good but it has many mosquitos. everything is so good. The hostel is new with good decoration in the common areas, close to the best beach in Vietnam (My Khe). They rent you the bike then you could do a lot of cycling in super nice roads along the beach and to the downtown. Very nice staff and the price is very affordable. This hostel is very close to the beach, only 3 minutes walking. Dorm room is clean, bed is big and comfortable. Breakfast is very good with lots of options. Staff is helpful and super nice. Definitely coming back. very good location!just 5 minutes walk to the beach ! and they have a public kitchen for everyone to use ! so valuable for what you paid for ! humble feeling. easy to socialize with people. comfortable environment with decent decoration.helpful stuffs. you name it. 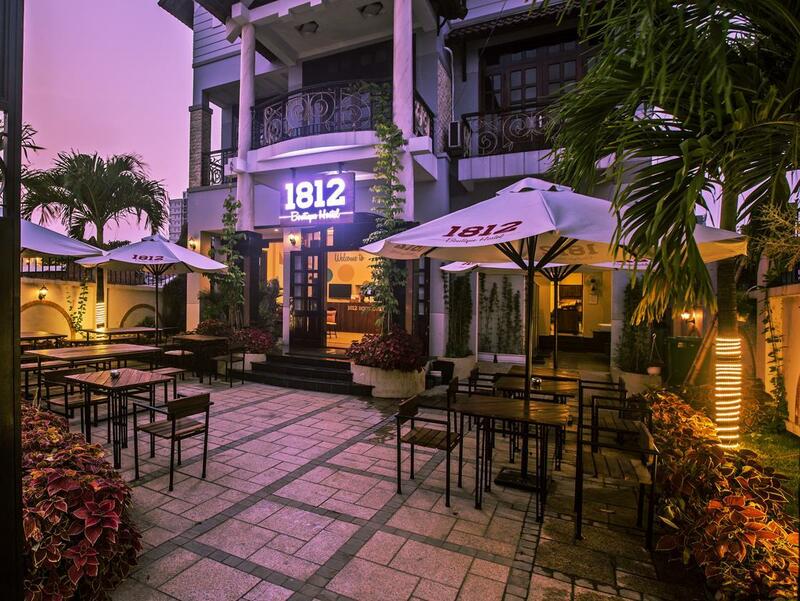 it's near to the beach....staff are friendly and helpful. certainly recommended. 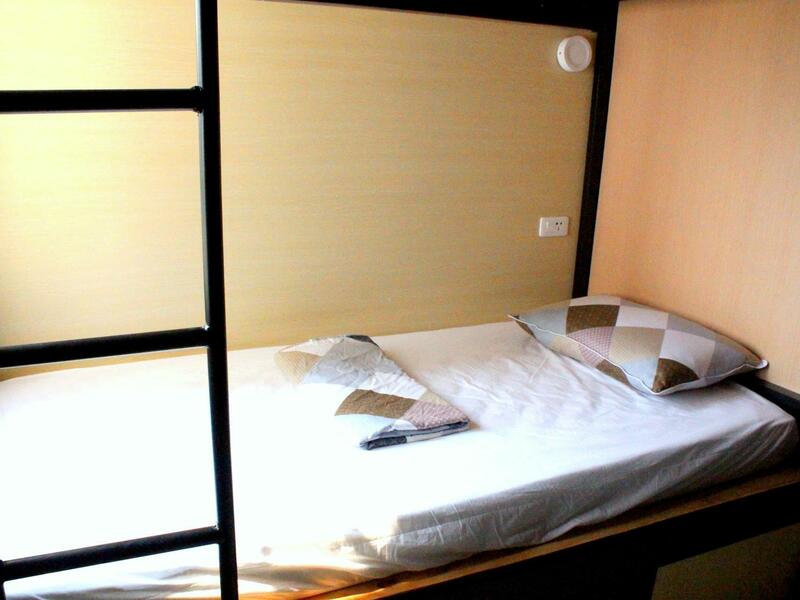 Comfortable beds, clean rooms, hair dryer at the shower room, locker provided, totally reasonable for the price. Great hostel with helpful staff, clean rooms and good breakfast. Highly recommend! Nice place to stay, enthusiastic staff and good service but the motobike rental fee is quite high than other places.